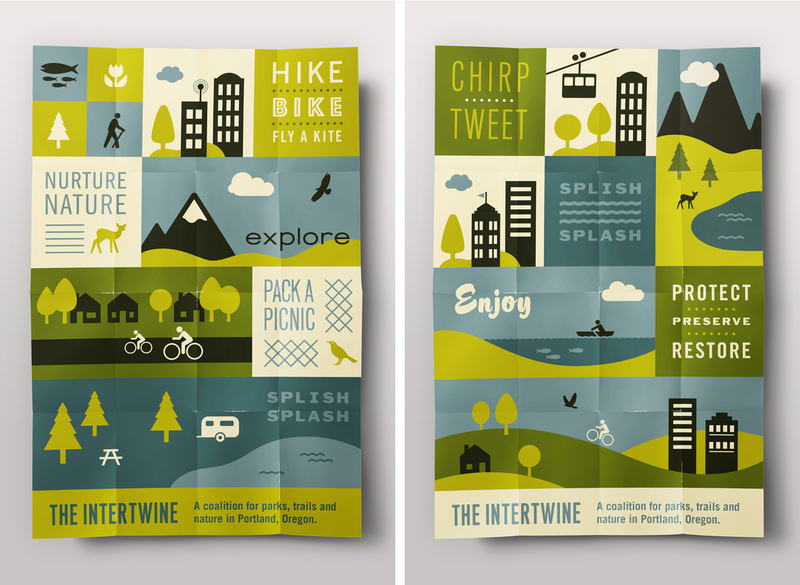 The Intertwine is the Portland Metro area’s ever-growing network of parks, trails and natural areas. By connecting people to the nature around them, even in an urban environment, The Intertwine improves the daily lifestyle of Portland citizens. A modular “patchwork” design spans easily from web and print to signage applications. 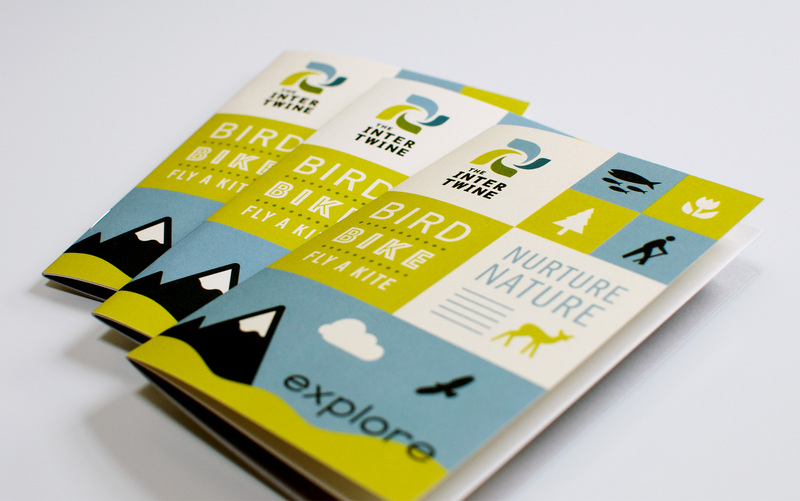 Iconic illustrations speak to the natural diversity The Intertwine offers and accessible, playful language evokes the simple pleasure of being outdoors, as well as being easy for multiple arms of the organization and outsiders to use in implementing new materials. The logo was created to fit in compact areas for signage use and represents the coming together of urban and natural areas in an optimistic pinwheel configuration.